Place of Birth Nemara in Ramgarh district, Bihar. Education Intermediate from Patna High School, Patna and Also studied at BIT, Mesra, Ranchi Jharkhand. Hemant Soren of Jharkhand Mukti Morcha is the current Chief Minister of Jharkhand and is the son of three-term CM of the state, Shibu Soren. During the Arjun Munda ministry, he was Deputy CM too. Currently, he is exploring all options to forge a pre-poll alliance. He also announced a few days back that his party is well equipped to contest the 81 seats of Jharkhand all alone. Hemant is well known for squeezing the best out of a bargain, even when his party is in minority in the bargaining platform. He is currently trying to create a grand secular alliance of JMM, INC, Janata Dal (United), and the Rashtriya Janata Dal (RJD) in Jharkhand. However, many skeptics say that he is bargaining hard with the INC so that high command is forced to severe their ties, giving him the chance to project himself as the victim and consequently ally with the BJP after election. Just before the upcoming Assembly polls, he has successfully engineered return of Hidayatullah Khan from Congress, its present ally in the just to be concluded assembly, and therefore strengthened the state organisation of JMM. Recently, he has boasted about JMM’s hold over the Santhal Pargana region of Jharkhand, which includes 24 districts. He even challenged his rivals to try and penetrate his party’s tribal bastion, which he considers impenetrable. Some of the characteristic features that his rivals also praise about him are transparency, good leadership qualities, ego-free attitude, and cool composure. He was born on August 10, 1975 to Sibu Soren and Roopi Soren. He has one sister and two brothers. Hemant Soren did his matriculation from Patna’s MG High School in 1990. 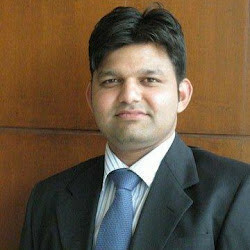 He completed his Intermediate in the year 1994 from Patna High School. He got enrolled to Mechanical Engineering at Ranchi’s BIT (Mesra) and studied there but could not complete it due to certain reasons. Hemant is married to Kalpana Soren and the couple is blessed with two sons. Hemant Soren is comparatively new to politics and definitely does not have the persona similar to either his father ‘Guruji’ Shibu Soren or his slain brother Durga Soren. However, the bespectacled Hemant has matured a lot in the last couple of years and is now heading a coalition government in Jharkhand. Hemant Soren started showing his political maturity when he smoothly removed one of the major power centres of JMM, Hemlal Murmu, by not interfering with his decision of joining BJP. In fact, he was one of the major reasons of his father’s win recently from Dumka. Hemant started his political career on December 23, 2009 by getting elected as MLA. On June 24, 2009 he became member of Rajya Sabha. On September 11, 2010, he became Jharkhand Deputy CM and remained in that position till January 8, 2013. He assumed the CM’s chair on July 13, 2013 and is the incumbent Chief Minister of Jharkhand. Some of the major departments he has held include Planning & Development, Cabinet (Election and Vigilance), Home, Cabinet Co-ordination, Information and Public Relations, Administrative Reforms & Raj Bhasha, Law, and others.